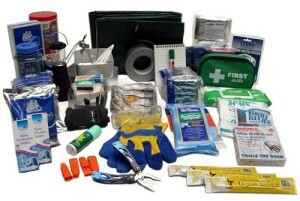 The contents of this kit can be used to aid survival in the aftermath of an earthquake or other natural disaster. The survival kit list is made up of five separate modules; Food & Food Preparation, Tools & Personal Protection, Shelter & Warmth, Light & Communication, First Aid & Hygiene. Each of these modules are also available separately. The contents are supplied loose in a shipping carton enabling you to use a suitable storage device of your choice. We suggest you add personal items such as clothing, additional food and drink, copies of documents to your kit.